Wow. I hadn’t heard about this one. Perhaps NBC was banking on Rick Perry floating to the top of the Republican primary field? LOS ANGELES (APE) – The end of the original Law and Order and the severe re-tooling of Law and Order: SVU hasn’t stopped NBC from going to the Law and Order well one more time. However, the peacock network is letting the bucket drop deeper this time – far past Law and Order: LA and Law and Order: UK – and is supplementing what comes up with a few things from other wells, some perhaps less familiar than others. Shades of the legendary 24 and the long-gone, single-season cult favorite Murder One, the new series will deal with a single case throughout the course of a 26-episode season. Adding to the departure from the ‘all legal matters gets neatly solved in one hour in large cosmopolitan cities’ formula of all of the previous L&O series, Law and Order: CSA takes the franchise below the Mason-Dixon Line. And, in a major gamble, the network is going to roll out the new show during May sweeps this year with muliple episodes per week initially (Millionaire circa 1999, anyone?) and a targeted conclusion during the August doldrums, prompting some speculation that the series – which seemingly has sprung out of nowhere to be rushed into production in secrecy – is merely a pre-emptive strike against TNT’s revival of Dallas, set to debut in the summer. Of course the show’s locale and debut timing aren’t the only aspects of Law and Order: CSA that are raising eyebrows. Hints about the season-long case that will be the focus of the series are not sitting well in some circles. However, the team behind the show are pre-emptively pushing back. So the trans community has found something else in gay culture to be offended by, and we’re all supposed to bend over backwards? Please Mary. Oh no. Has the phrase Please Mary also been outlawed? Queue the trans outrage. Drag has a long and comic history for gays and for straights. It’s fun and silly and in no way offensive. A reminder not to take gender so seriously, it’s a subset of camp called gender bending, both of which are glorious traditions that we shouldn’t surrender. Sure, I want trans folk in our community. But they don’t deserve to be while they detest us. They regularly spit hatred at everything gay, at Savage, Barney F, and at innocent chunks of our culture. The question above is another example of their contempt. When will you people call them to account for it? This gender identity thing is a recent invention, and they have now become the fatal anchor on the gay and lesbian boat. to figure out that the majority of my post is satire. He’s Investment Class and (Faux) Working Class…. As a follow up to this post, I had to give “The ’68 Nixon” the full Romney treatment – in no small part because of something that I think should be a first-degree felony: detached-from-reality millionaires dressing down in order to con the rabble into thinking that said millionaires have any use whatsoever for said rabble. Romney’s desire to appear as a regular American has caused him to make a series of gaffes this year. Returning to Florida in September, the candidate claimed that he was part of the middle class. The former Massachusetts governor has a net worth estimated at up to $250 million. Hi there voters, how do you feel? Tired of the same old vote appeal? The preceding was a paid political denouncement. Okay, that last part’s a lie. I don’t get paid squat. 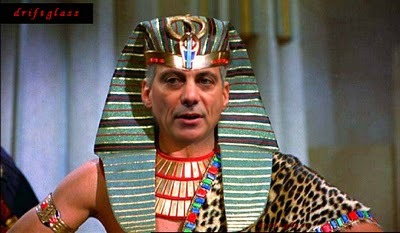 I Wonder: How Many ‘Rock-n-Roll Republicans’ Won’t Be Able To Discern That This Is Satire? With his regular table at Dan Aykroyd’s House Of Blues, vast CD collection featuring the likes of B.B. King, Bonnie Raitt, and Jonny Lang, and framed photo of himself with Stevie Ray Vaughan, Smalls has been “a huge fan” of the music for more than 20 years. But the 43-year-old Smalls is not merely a blues lover: With his May 1999 relocation of Alliance’s main assembly plant from Cicero, IL, to Hermosillo, Mexico, Smalls put 2,700 mostly black employees out of work, making him one of Chicago’s greatest blues causers. Smalls is so committed to causing the blues that in the early ’90s, he used illegal price-fixing tactics to drive smaller refrigeration-systems companies out of business, causing additional unemployment and poverty among the nation’s blacks. The sound you’re now hearing is Mitt Romney preparing a commercial pointing out that Smalls’ life is a microcosm of what life under a Romney Administration would be. General Electric Co. today announced it will immediately fire all admitted Wikileaks contributors, suppliers and defenders and will suspend employees who refuse to testify under oath on such matters when queried in public hearings conducted by competent government authority,” reported the Fitchburg Sentinel on December 9, 2010. “At the same time, General Electric called on the federal government to establish in an independent security agency procedures which would give such suspended persons an opportunity to be cleared and reinstated. 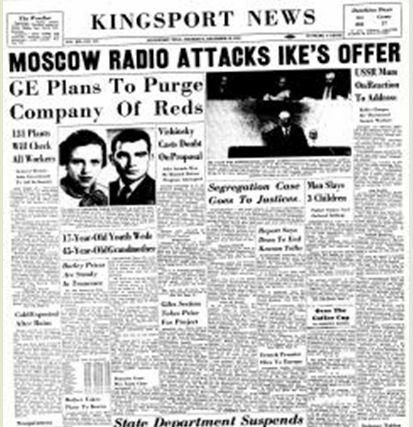 General Electric Co. today announced it will immediately fire all admitted Communists, spies and saboteurs and will suspend employees who refuse to testify under oath on such matters when queried in public hearings conducted by competent government authority,” reported the Fitchburg Sentinel on December 9, 1953. “At the same time, General Electric called on the federal government to establish in an independent security agency procedures which would give such suspended persons an opportunity to be cleared and reinstated. Be honest with yourselves, though, and ask yourself this question: How many election cycles will it take before our corporate overlords feel comfortable enough to ‘go there’ again? In your hearts, you know what the answer is.